LED facials Williamstown are the perfect option to help rebuild the skin structures which over time become depleted, collage and elastin levels are supported and gentle stimulated to act younger. Acne and bacterial infections are given the correct energy to improve itself. LED facials Williamstown have many benefits, are gentle and a progressive positive result is seen during a package of LED facials on ALL skin types. Expect to notice a plumper, calmer and more hydrated skin after your first session. We recommend having a package of light treatments to see a reduction in fine lines, wrinkles, age spots, pigmentation, more even skin tone, reduced size in pores, and less noticeable scarring. $110 per treatment. 30 minute session under the light includes a cleanse, moisturise, sun protection and hand massage. We recommend you ADD a specialised Mask to your light facial to enhance the results, Hydration Boost Mask $50. Benefits your skin by killing bacteria and yeast, treating inflammation such as eczema, atopic dermatitis and is used for acne and active breakouts. No down time, unlike other nasty skin treatments on the market LED light facials Melbourne are safe and effective. 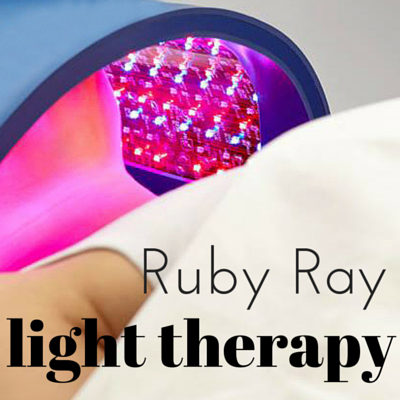 Ruby Ray RED light therapy specialises in wound healing, wrinkle and line reduction, also helps to even out pigmentation and will benefit most skin conditions and concerns. 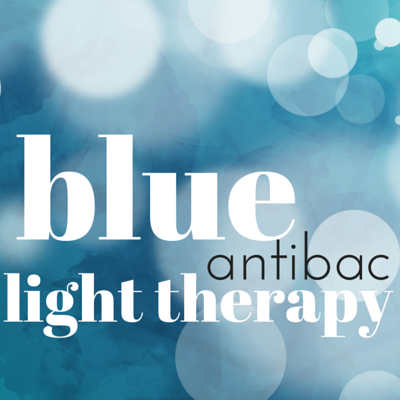 Sapphire BLUE light therapy benefits your skin by killing bacteria and yeast, treating inflammation such as eczema, atopic dermatitis and is used for acne and active breakouts without any down time, unlike other nasty treatments on the market. LED light therapy has been documented to be utilised by NASA to help Astronauts on long space trips with wound healing. The Astronauts then noticed a perfound reduction of fine lines, wrinkles and other skin abnormalities reduced. Not long after the anti ageing industry starting using LED light therapy. LED facials Williamstown work by stimulating the mitacondra (power house) within each cell to repair and heal its self. Ultimate results are seen with a program of treatments close together. You will notice a definite improvement within the skin, it’s also fabulous before a special ocasion and teamed with other skin solutions such as Microdermabrasion Facials and added to our other signature facials in Williamstown Melbourne.